ZARA would like to recommend to all our clients to book a membership with the AMREF Flying Doctors of Nairobi. Please inform our staff when you make a booking if you are interested and you can get your insurance coverage vouchers through us. 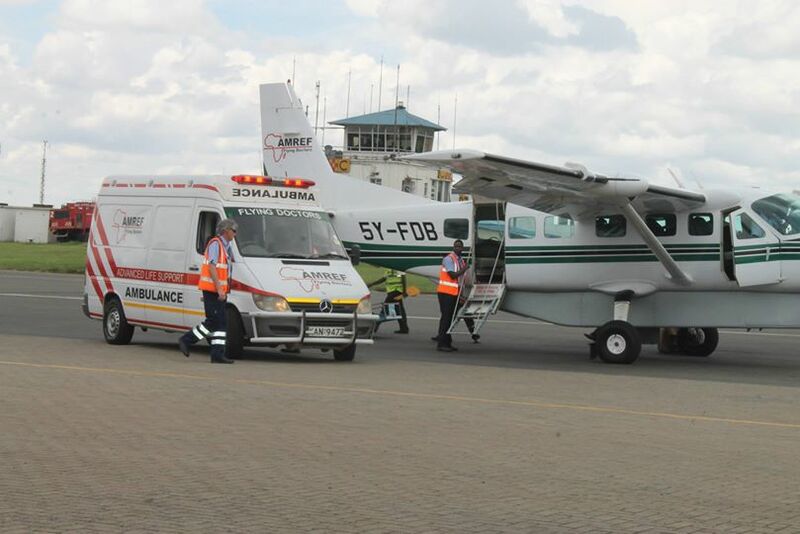 In case of medical emergency, there will be one free air ambulance evacuation service from all Tanzanian wilderness areas to Nairobi hospital. There is also a free 24 hours Flying Doctor’s Emergency Response telephone for medical advice. Kenya, and there are Tanzania offices in Arusha and Dar-es-Salaam. Unutilised membership subscription fees go towards funding the work of AMREF Outreach and charity evacuations. In Tanzania, AMREF funds The AMREF Muhimbili Outreach programme which flies out specialist doctors to rural areas to treat the less fortunate and train medical staff in those areas. 1000 km radius from Nairobi (which includes all Tanzania incl. the islands of Zanzibar, Pemba and Mafia, and Kenya) 30 US$ p.p. for 14 days and 50 US$ p.p. for 2 months. All hospital costs, medical treatments, medicines etc. are not included in this service, so it is strongly advisable that additionally to the AMREF membership you hold an adequate travel health insurance. Please note that your contract for this service will be directly with AMREF, not with ZARA Tours. ZARA Tours is just an agent for AMREF. So please check all conditions and details on the AMREF website at http://www.amref.org. The Society is a fundraising organization that has been in existence for over forty years, we raise funds specifically to finance medical outreach work in Africa. We do so by, among other things, selling membership and shop merchandise. We co-ordinate all emergency calls and evacuation through our 24hr radio room guaranteeing all our members a fast, reliable and effective evacuation response. Please see below rescue sites suitable for helicopter rescue in Mount kilimanjaro…. For more details please check with Zara Tours and ask/get your Cover.